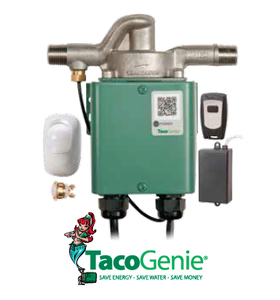 The TacoGenie® is a small, silent pump that recirculates cool water you normally let run down the drain back to the water heater through the cold water line. The compact user-activated TacoGenie® mounts under the most remote kitchen or bath fixture. 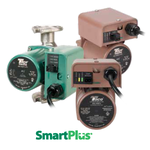 No new piping is required, and it can also be installed at the water heater for dedicated return line systems. When activated, an internal sensor shuts the pump off as hot water arrives.